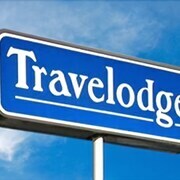 Great value great price friendly staff friendly rooms clean! Where to find Tara hotels near an airport? Where can I find hotels in Tara that are near tourist attractions? For those keen to spend some time in Tara, book a room as early as possible, as you won't find a wide range of accommodation options in close proximity to Tara's downtown. 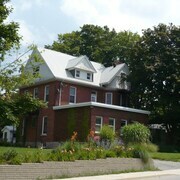 Although Tara can't lay claim to having an extensive range of accommodations close to the downtown area, Doctor's House B&B is convenient enough to please most visitors. 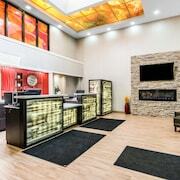 The Best Western Inn On The Bay is positioned 20 kilometres (12 miles) from downtown Tara. 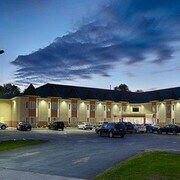 Another option is the Quality Inn, which is situated 18 kilometres (11 miles) away. 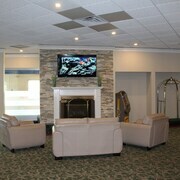 Alternatively, book the Super 8 Port Elgin or the Comfort Inn Owen Sound. Looking to go a little further afield? Southern Ontario has a number of attractions. Photograph Southern Ontario's beaches, coastal plains and forests. In addition, you should spend time at a selection of the area's traditional villages and churches. Active travelers might try skiing and cross-country skiing in this part of Canada. 50 kilometres (32 miles) from Tara you will find Kincardine, where visitors can enjoy Station Beach and Kincardine Lighthouse. 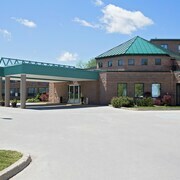 Kincardine hotels include the Holiday Inn Express Hotel & Suites Kincardine - Downtown and Best Western Plus Governor's Inn. 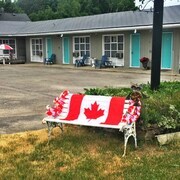 Alternatively, you could stay in Port Elgin, 20 kilometres (12 miles) to the west of Tara, where you can pick from the The Maplewood Motel and Windspire Inn. The MacGregor Point Provincial Park and Port Elgin Beach are a couple of the popular points of interest to see when you're in Port Elgin. If you are really into sports and really like local games you could make a trip to Harry Lumley Bayshore Community Centre, which is 20 kilometres (13 miles) to the northeast of Tara. 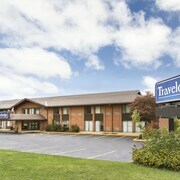 For travelers who are interested in booking a bed close by, make a reservation in the Quality Inn or Travelodge Owen Sound. Our destination page is also an excellent way to discover more about Tara. What are the most popular Tara hotels? Are there hotels in other cities near Tara? What other types of accommodations are available in Tara? Explore Tara with Expedia.ca’s Travel Guides to find the best flights, cars, holiday packages and more!